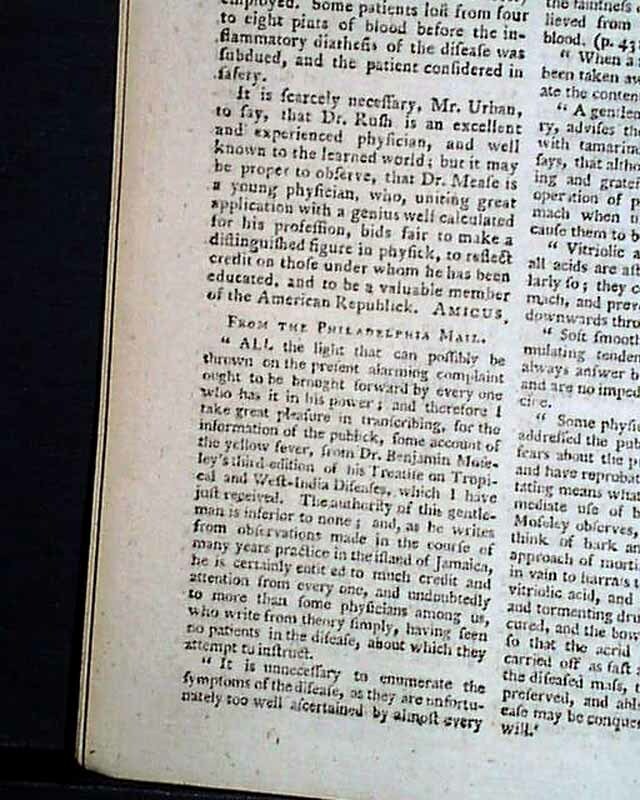 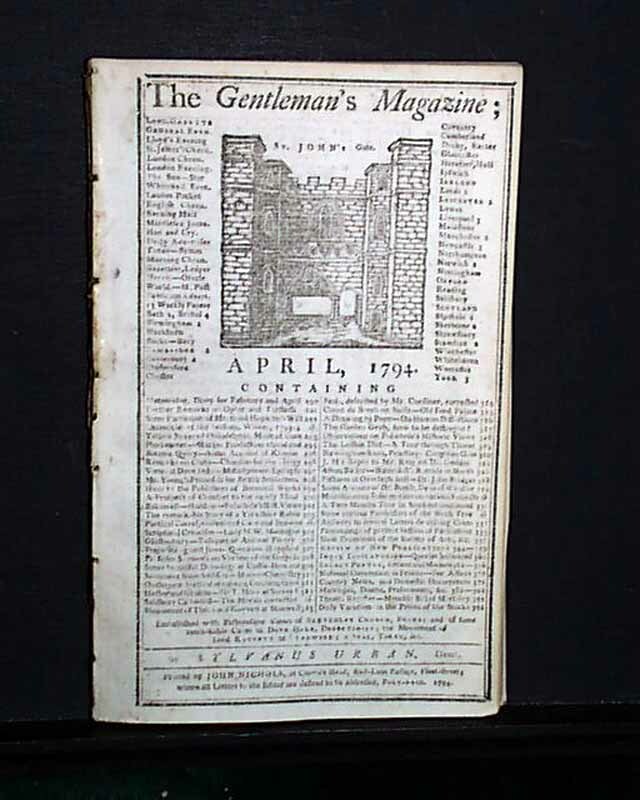 Item # 654914 THE GENTLEMAN'S MAGAZINE, London, England, April, 1794 Within this issue is a lengthy discussion of one of the deadliest epidemics in U.S. history, one which eventually claimed just under 10% of the entire population of Philadelphia, Pennsylvania (at the time the most populated city in the country). 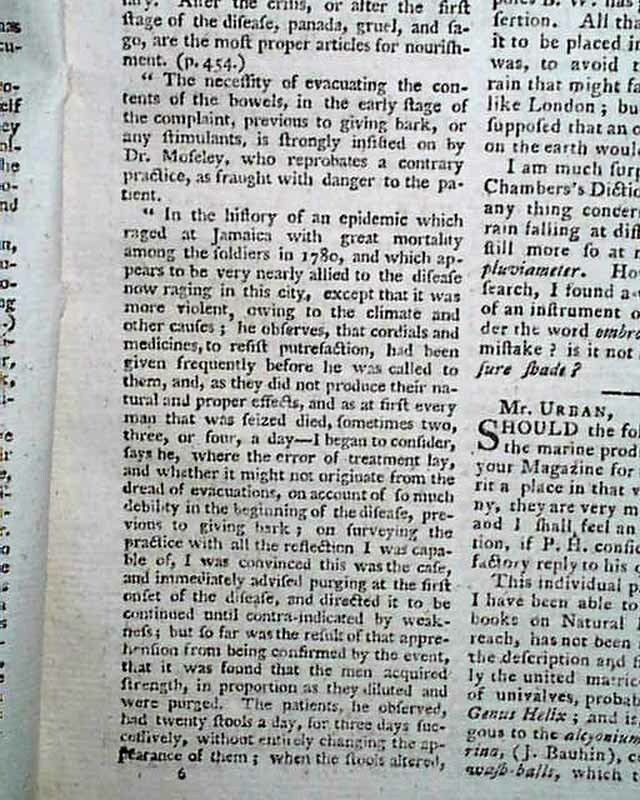 The cause of the epidemic is attributed to the incoming refugees resulting from the slave revolt in Saint-Dominique (see note below). 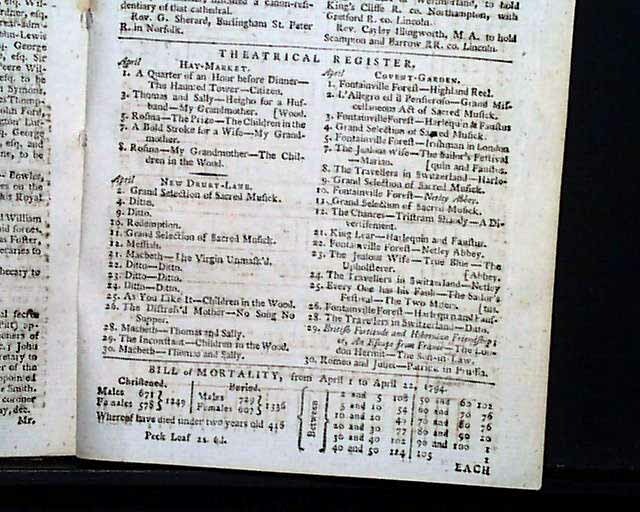 A long-popular English periodical that gave the name "magazine" to it's genre. 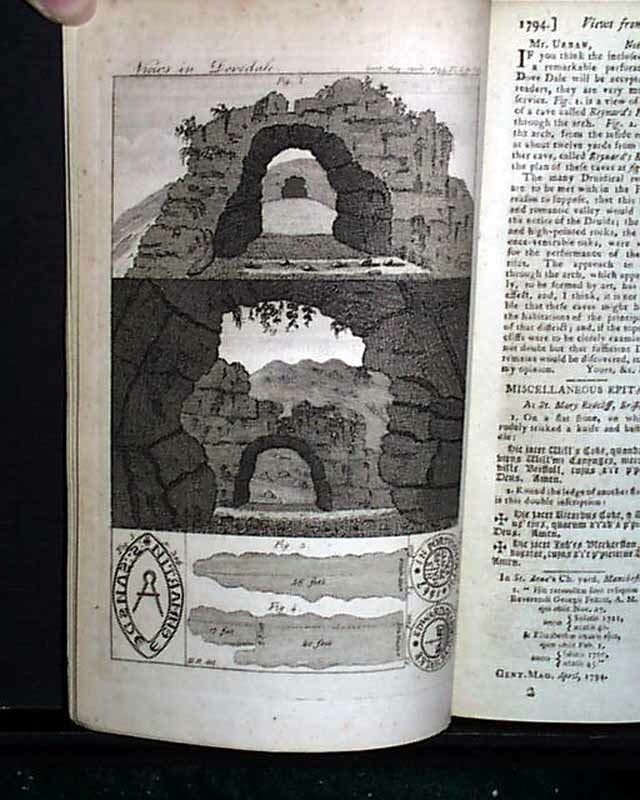 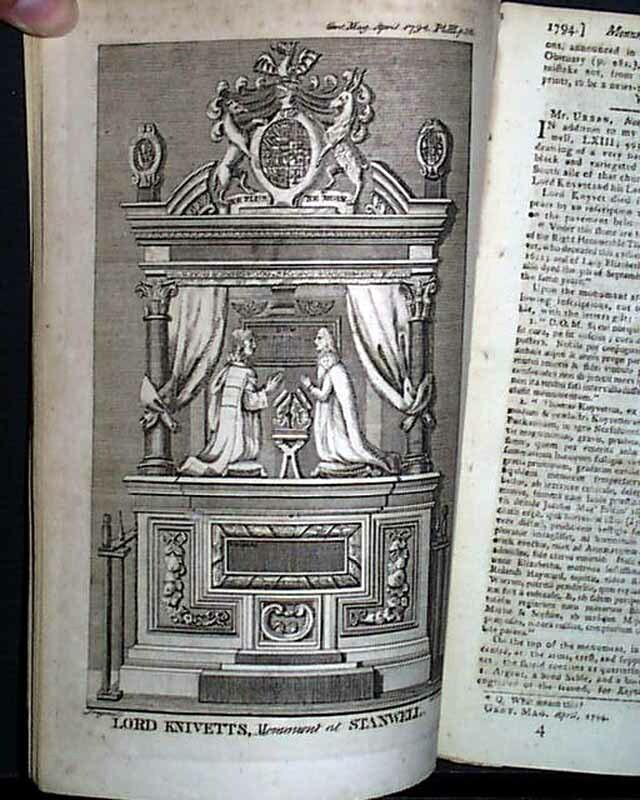 It was the first general periodical in England, founded by Edward Cave in 1731. 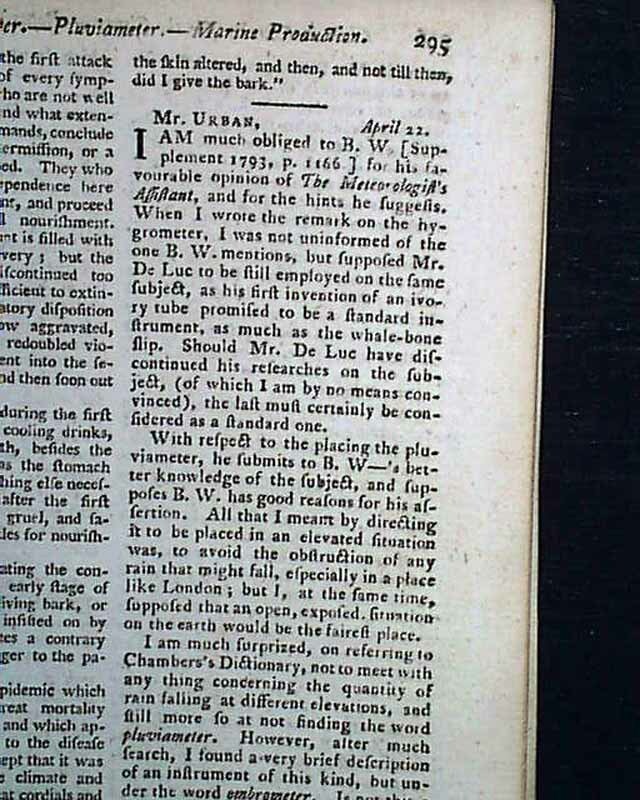 It originated as a storehouse, or magazine, of essays and articles culled from other publications, often from books and pamphlets. 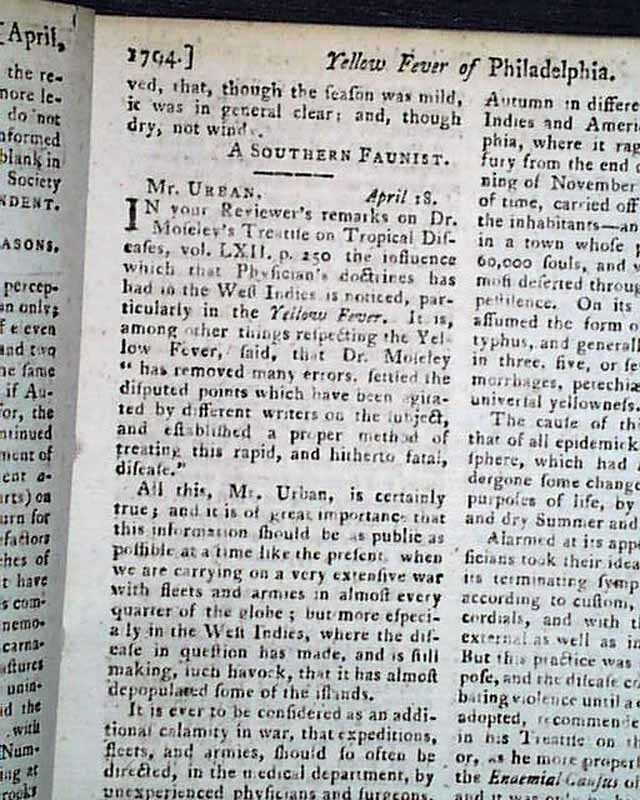 It's motto-"E pluribus unum"-took note of the numerous sources scoured to assemble a singular monthly issue. 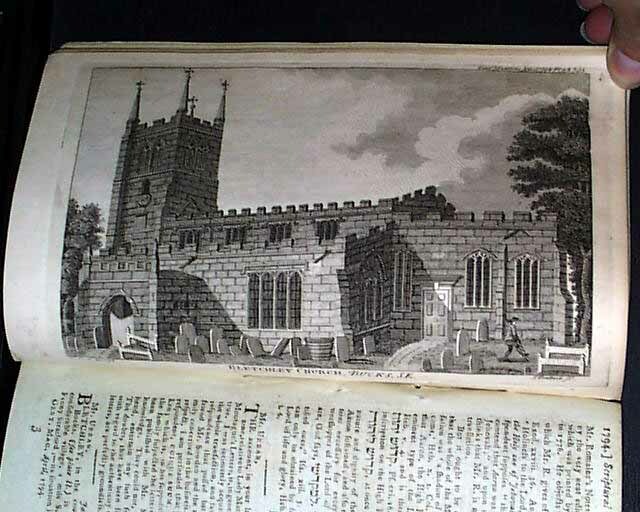 Complete in 100+ pages, full title/contents page with an engraving of St. John's Gate, 5 1/4 by 8 1/4 inches, in nice condition. 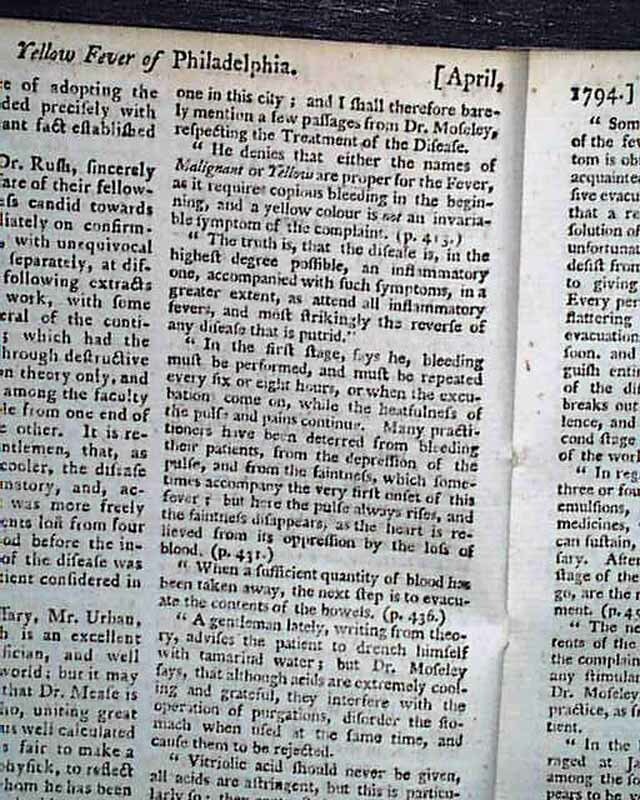 Background (source Wiki): In the summer of 1793, as French colonial refugees from the slave revolution in Saint-Domingue crowded the port of Philadelphia, a summer yellow fever epidemic began in the city. 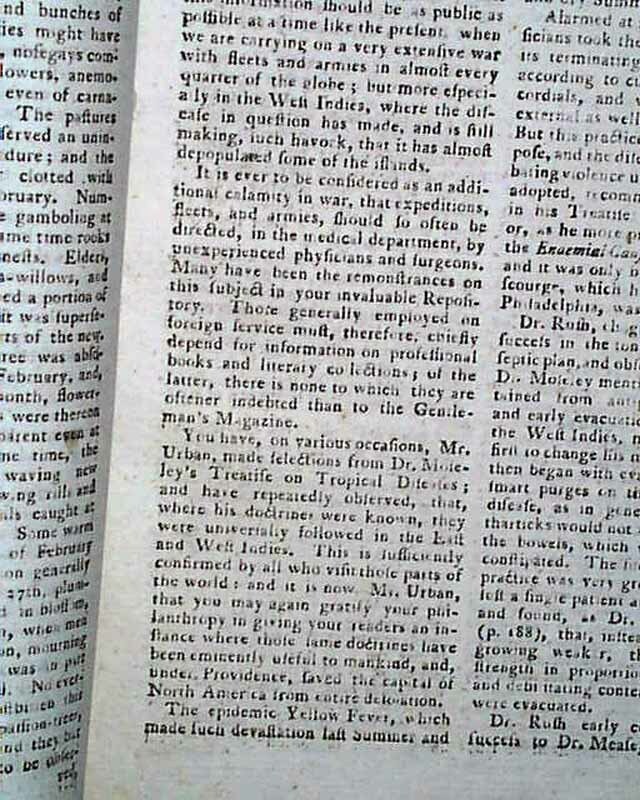 It is likely that the ships and refugees carried the yellow fever virus and the mosquitoes that transmit it. 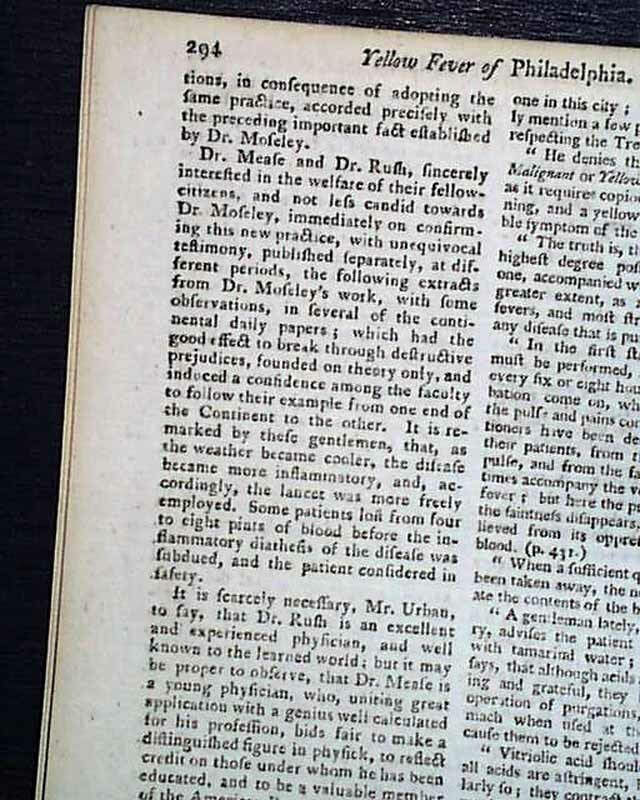 The medical community and others in 1793 did not understand the role of mosquitoes in the transmission of yellow fever and other diseases.